Is Microsoft Focusing Too Much On Its One Business Component? Microsoft is a huge company. It has so many products in its kitty that one might start feeling dizzy just looking at how many things the company has its hands on. Antivirus, Live and other free software. Now, while most people might grump about Windows, it should be noted that Windows 7 is one of the best OS out there. And the grumping is that Windows 8 is not as good as Windows 7. Microsoft is competing with itself only in that regard. Also of note is that every software Microsoft has produced is top class. Microsoft’s Antivirus (Security Essentials) is quite a comprehensive piece of software and works as good as any other software out there. For Enterprise segment, Microsoft has Forefront Client Security. Windows Live Writer is the best blogging software, period. Everyone in the world knows about Age of Empires, created by Microsoft. And of course, XBOX is a great console for gaming. My point here is that unlike the perception of the company, Microsoft is actually one of the best companies out there and they know what they do. Unfortunately, currently Microsoft are so focused on Mobile space that I fear that everything else might take a backseat. Especially since the buying of Nokia, Microsoft has made its intentions clear. They are not just a software company anymore. For them, Smartphone arena is not like Windows OS but more like XBOX now. They will have no excuse for a faulty device. If the phones do not rise to the expectation then it’s not any hardware manufacturers fault. It will even worsen the perception of the company. Then there is the integration issue. Microsoft will be tempted to integrate their good services with their phones to leverage them. Sony is doing that right now with their Playstation and Phones. Microsoft will be tempted to make phones with XBOX integration (it is already there in some regards). While this is a great step, it might backfire likes Apple Maps did for Apple. The biggest fear however stems from Microsoft’s working culture. Each product has enjoyed a complete independence till now. Microsoft Office team develops with complete independence from Windows, despite the former running on the latter. With Smartphones, Microsoft is under the gun and it might be tempted to force its other wings to create leverage for the phone. Employees might be asked to prioritize Mobile over their actual product. All this happens and if Microsoft still fails to capture at least the second spot, it would not bode well for Microsoft, I mean the company, as a whole. They might end up hurting their other businesses in an attempt to gain the mobile market. What do you think? Is Microsoft focusing too much on one aspect while ignoring their real strength? I don’t think so. It’s the need of the hour. Among the segments mentioned, mobile is very promising and MS is already late to the party. The attention is much needed and will further spice up the competition in mobile industry. Great article Kunal! However, I beg to disagree on a few points. Yes, Microsoft seems to be focussed on the mobile space right now and the trends suggest that they are right. It is now a known fact that owning mobile allows MS to cross-sell its entire portfolio of products. So, if the company does make some strides in the mobile space I expect positive spill over effects on other product lines. Secondly, i hate the MBA jargon but applying the BCG star matrix model would suggest that it makes sense to invest in mobile space. The OS, Xbox etc. are pretty much the ‘stars’ and for the most part are profitable and sell on their own. So, from an investment perspective they might want to invest on a potential star. Whether they succeed or not is a secondary matter but from a pure strategic perspective, it makes sense. I agree with you that Mobile is a mine of potential and Microsoft’s other businesses are proven performers. 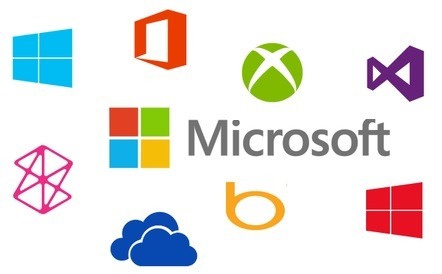 However, Microsoft can’t take its other businesses for granted. Even Stars can turn into dogs if not taken care of. And as you mentioned, Mobile space is highly volatile (despite its consolidation around Android for now), and taking the BCG Matrix, is a question mark for Microsoft. Therefore, it is extremely important for Microsoft to not hurt its other ventures while dumping money in the question mark. For example, the money to buy Nokia (and the millions Stephen Elop is getting in the process), aren’t going to come out magically. Microsoft’s profitable ventures are paying for this.